Dubai investors and home owners should keep their eyes peeled on a soon-to-be announcement that involves new rules and regulations governing the property industry. The announcement, expected within a few short weeks – is supposed to be helping with confidence in the hard hit real estate industry in Dubai. 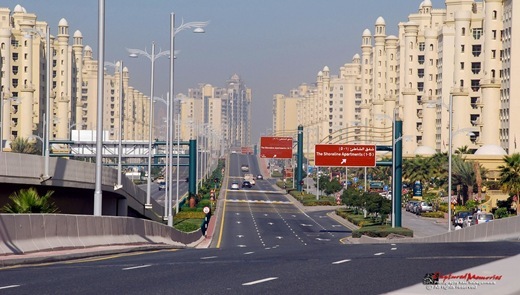 Falling house prices have only served to increase the growing number of disputes in the small emirate over the last year or so. With the recent publication of the Law 9 or 2009 the government hoped to gain more control on investor issues while providing people with new hope to see matters taken care off with correct procedures. The new changes will take into account all the recent changes and advise on procedures and law interpretation. The latest introductions to Dubai’s real estate law has certainly given RERA more authority to cancel projects on a need to basis while increasing their power at the same time. Emad Farouq, a senior legal counsel at the Dubai Land Department was overheard saying that these new regulations would mostly focus on the procedure for terminating a purchase agreement, the rights and obligations of developers and the payment of damages. The current problem with Dubai’s law is the Grey zone. With many cases falling outside the rules and regulations as described in the law right now, court matters have become somewhat complicated and heated. One typical example is when a purchaser pays 80 percent on a home, but then ends up defaulting on the remaining amount after completion. At this stage, Law 9 states that the buyer would lose all their money. Naturally this wouldn’t be just and for reasons like these the law needs to be changed sooner than later. The law clearly needs to state what would happen if such situations arise, giving both buyers and seller peace of mind during the process. Current discussions are involving the need to change how RERA will deal with developers and third-party experts to determine how vital proposed projects really are. If we listen to lawyers, then the most important things to deal with are cases when RERA cancels a particular project with no money left in an escrow account. Some industry experts expect possible RERA-sanctioned auctions of assets such as land or, in the case when a development is in the middle of its process – the sale of an unfinished building to a distressed asset fund. The sad fact is that many people got hurt because they bought into the property boom in Dubai too late. Now they have to deal with their financial losses which is too much for some. The idea to eliminate bad projects and investments in Dubai might just be possible with the implementation of the new property law.